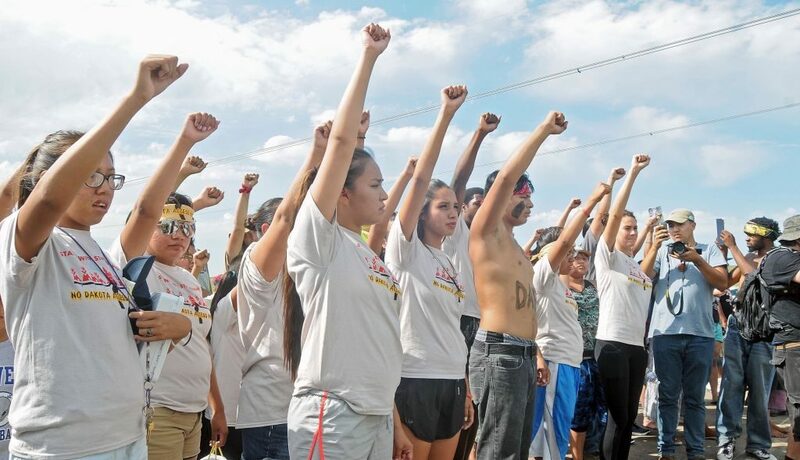 This week, protesters entered their fifth month of peaceful protest against the proposed $3.8 billion dollar, multi-state oil pipeline that would when completed transport crude oil from North Dakota to Illinois. The Dakota Access Pipeline is being constructed by private developers, and will intersect through ancestral lands once held by the Standing Rock Sioux Tribe as well as running under the Mississippi River and within half a mile of current reservation land borders. Earlier this year, the Standing Rock Sioux Tribe sued the US Army Corps of Engineers denouncing the Corps’ fast-tracked approval of the Dakota Access Pipeline plans, saying that the Pipeline’s construction will threaten sacred sites and risk contamination of the Tribe’s water supply. Last week, the Standing Rock Sioux filed a temporary restraining order asking that construction of the Dakota Access Pipeline be halted pending discovery of multiple cultural and historic landmarks that will be destroyed by the project’s continuation. And yet, over the weekend, protesters were met with violence by private security forces. Members of the Standing Rock Sioux, including Archambault himself, have been arrested for trespassing while standing upon the Tribe’s own ancestral lands. The Corps’ overt disregard for the many concerns of the Standing Rock Sioux in this matter is well in-keeping with this country’s long history of physical, cultural, and economic violence committed by American settlers against the many indigenous peoples whose resources we assert our entitlement over, whose histories we erase, whose sovereignty we ignore, whose blood we shed, and whose lands we callously now occupy. Right now, hundreds of Native protesters hailing from multiple tribal nations have come together with non-Native allies to form a united front demanding a halt to construction of the Pipeline. As Asian Americans, we must add our own voices to this mix.